September has been a bit quieter on the reading front - I've been doing lots of knitting instead on the commute to work which means there is not so much time for reading. Once again, I don't have any particular plans to read a particular book in October - I've got several yarn-based projects I really need to get finished so they should take priority! A recent trip to a charity shop ended with me purchasing quite an armful of books as they were three for £1. 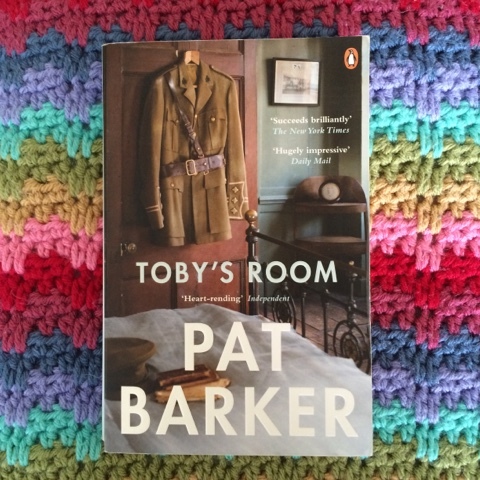 One of these was Toby's Room by Pat Barker. 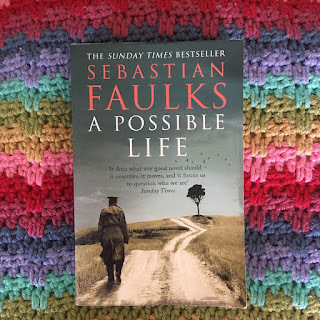 Siblings Elinor, a fledging artist, and Toby, a medical student, have their lives changed when WW1 begins and Toby is sent to the front line. Elinor stays in London and with Professor Henry Tonks uses her artistic skills to help reconstruct the people who were severely injured and disfigured in combat. Henry Tonks was a real artist and since reading this book I've done quite a bit of reading about him, his artwork, and the development of plastic surgery. But back to this book, Toby is eventually reported as 'missing, believed killed' although Elinor doesn't accept this and turns to their wider social group to see if she can find answers. After I'd finished Toby's Room I had a look at my bookcase to see what I wanted to read next, and I saw another Pat Barker book, Life Class. I don't remember choosing it, so I reckon it must be a book Mum's bookgroup (or she) had read at some point. As I read the blurb, it turns out it's from the same trilogy of books as Toby's Room and is actually the first in the series. It's a bit odd, as the events in Life Class are sort of happening at the same time as those in Toby's Room, so it's not a sequential trilogy. I enjoyed it nowhere near as much as I enjoyed Toby's Room. I passed it on to Char when she and I spent a weekend away with Guiding friends recently and I think she enjoyed it about as much as I did! Yet another of the bargain books (it is easier to read them and pass them on than to try and fit them on the bookcase! ), Burning Bright was a good read. I've always liked Tracy Chevalier's stories, although I find I have to leave a good space between them. Burning Bright is set at the end of the 18th century and follows the Kellaway family who move from rural Dorset to busy London. The plot focuses on teenagers Jem and Maisie as they try to adapt to urban living as well as impending adulthood. Poet William Blake features, but I think his particularly storyline was lost a bit on me as I know very little about him. 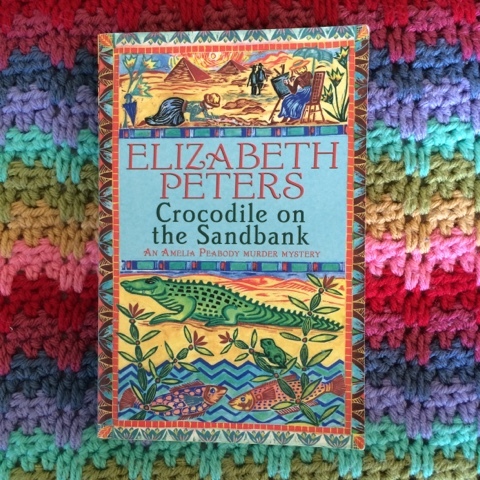 Crocodile on the Sandbank by Elizabeth Peters was yet another 33.3333333p purchase and chosen pretty much at random. Amelia Peabody is a wealth Victorian lady who goes off to Egypt to explore her interest in the growing area of Egyptology. Along the way there is a murder and she and her sidekick do their best to work out whodunnnit and why. Amelia annoyed me a lot and at times it all felt a bit cliched. It was an easy to read book, and I did enjoy it, although I'm in no hurry to read any of the other books in the series. A couple of weeks ago I had a research interview for work and it didn't take me as long as I thought it would to get there: rather than turn up half an hour early I managed to find a Sainsbury's which was open so I could replace the umbrella which had just given up on me, and then a charity shop which was the only other place open before 9.00. 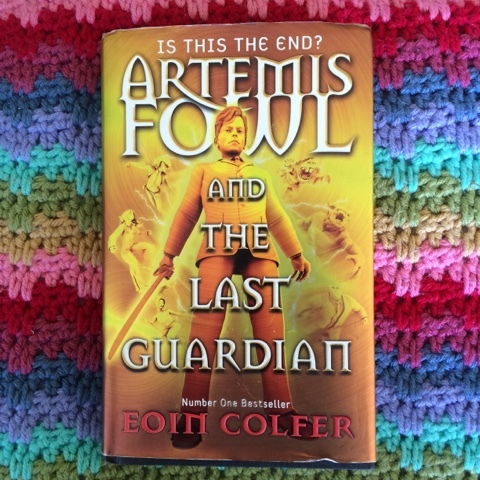 Artemis Fowl and the Last Guardian fell into my hands when I took a different book off the shelf, causing a little cascade and I managed to catch this one before they all fell on the floor. I first read Artemis Fowl when I was an undergrad, a friend thought I'd like them and sent me the first two or three. Aimed at slightly older children/young teenagers, they follow Artemis who is a genius and his adventures with the fairy kingdom and his best friend Captain Holly Short, an elf. Sadly, this is the last book in the series, although I've realised I've not read the penultimate book, so I now need to go back and find that one! A highly recommended series indeed, and excellent for binge-reading. September has seen me complete my Goodreads challenge to read 52 books in a year - I'm not going to change it, but clearly this has been a good year for reading so far. Either that, or I've read some books which haven't exactly challenged me! Some weeks you read loads, others you read nothing. Well done on the 52 already so far! I haven't counted this year, but summer hols are brilliant for boosting the reading total! And Artemis Fowl looks good. I haven't read the most recent ones, but I really enjoyed the first few. I've never read Artemis Fowl but I really want to at some point. I love Pat Barker though, I'll have to try Toby's Room. 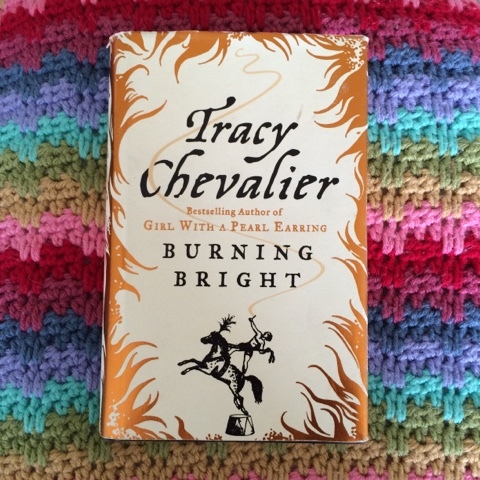 I used to really enjoy Tracey Chevalier, but like you mention sometimes a bit of time between books is good. Have a good week! The Artemis Fowl books are definitely worth it - try and get a few of the books together at the same time as I think they're best read in quick succession! I have to admit I know not one of the books you have read in September. I am quite tempted to give Pat Barker a go, the one you enjoyed. I listen to audiobooks and knit at the same time, might this be a solution for your commute? I've tried audiobooks, but they're never read fast enough for me, sadly! I am impressed by people who can knit and read at the same time!